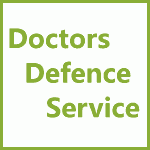 Reflective Writing in GMC Cases – Showing Insight | Doctors Defence Service – UK. The General Medical Council (GMC) requires all doctors who are going through the Fitness to Practise (FTP) process to demonstrate that they are fit to practise medicine, where they have previously fallen short of the standards and conventions that they should have worked to. The GMC Case Examiners, who assess whether a case can be closed on paper or should be referred to a fitness to practise hearing, at the Rule 7 stage, are greatly helped, in their assessment of a doctor’s fitness to practise, if a doctor submits insightful reflections in writing. Many doctors fail, however, to properly evidence their defence case or their points of mitigation, and in so doing they will miss the opportunity to influence the process and the outcome of the case. A costly FTP hearing then follows, which could have been avoided had the doctor spent time on formulating a considered response. Likewise, at a fitness to practise FTP hearing, the MPTS panel will be greatly assisted if the doctor is able to provide evidence in mitigation, and evidence of personal insight – at the impairment stage and/or sanction stage of the FTP proceedings. A doctor should write out their reflections, giving careful thought to what they want to say, with a view to submitting their writings to the FTP panel. The exercise will also assist the doctor in presenting their case when they give oral evidence. Where things have gone wrong this should be accepted, where appropriate; reassurances will need to be given that there will be a negligible risk of repetition or that any ongoing risk can be properly managed. If a doctor has taken steps to remediate their shortcomings, this will be relevant to the GMC’s assessment of the doctor’s suitability to practise. The doctor will need to demonstrate an understanding of how the (mis)conduct came about, how they have reflected on events, and what they would do in the future if they were to get into difficulties. A reflective piece can be relevant to health cases as much as misconduct and deficient performance cases. Where ill health has contributed to the doctor’s difficulties, the history of events should be explained and the future management of any ongoing condition or risk of relapse will need to be considered. Before writing a reflective piece, doctors should read the GMC’s/MPTS’s Indicative Sanctions Guidance. The following flowchart, which identifies some of the principle factors to be considered, may, also assist doctors in their task. The above flowchart has been compiled by lawyers at Doctors Defence Service who have had many years of experience of representing clinicians before their regulators. MPTS panels look at thevarious underlying themes and public policy considerations connected with the allegations that a doctor is facing. 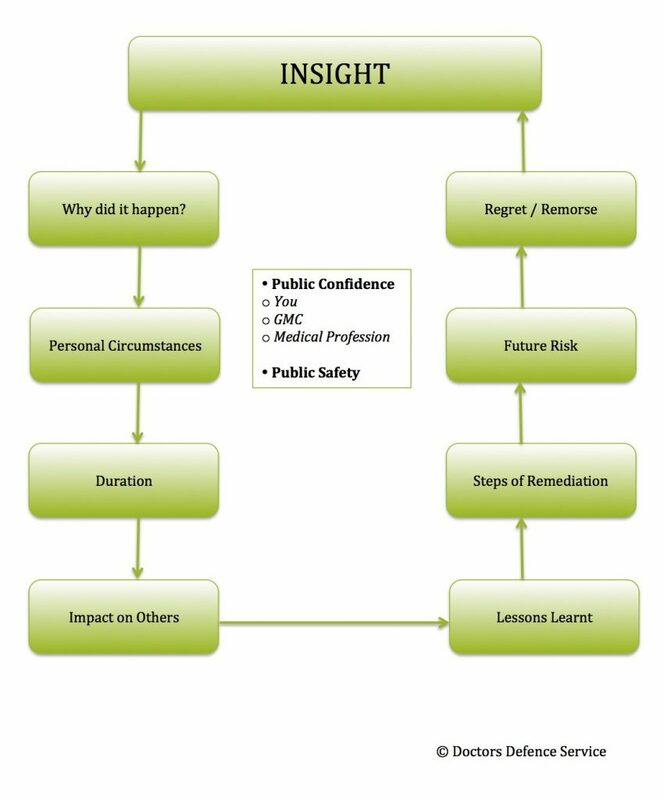 In our experience they will look at a number of factors, including: how and why the incident or incidents came about; the personal circumstances of the doctor; the duration of time the conduct complained about took place over; the lessons that the doctor has learned since; the steps of remediation that they have undertaken or are intending to undertake; the future risk of repetition; and whether the doctor has shown genuine regret or remorse. This list is not exhaustive but will be of assistance to doctors seeking to reflect on their past (mis)conduct and future ambitions. Doctors should consider, in turn, each of the charges that they are facing, asking themselves whether their conduct has undermined the confidence and trust that patients and the public ought to be able to put in doctors. And, whether there are any safety or public protection issues that the doctor must explore, in order demonstrate that they have thought through the implications of their conduct, have taken remedial steps, and can evidence insight. A written reflection is an important part of any doctor’s defence or mitigation case. It should be a carefully crafted and well considered piece of writing. It should take into account the obligations placed upon doctors by the code of conduct for doctors Good Medical Practice. The reflection should be supported by other evidence, if available. A doctor who appears to minimise their responsibility for the things that have happened in the past risks a more servere outcome, than if they are able to demonstrate a full understanding of their failings or misbehaviour. Showing full insight means accepting responsibility for the full history, showing recognition of how it has impacted on colleagues, patients and others, and on the public’s confidence in the profession. In some circumstances, it may be appropriate to send patients or colleagues letters of apology. It is not always appropriate to send a formal apology, and so legal advice should be obtained on whether it is appropriate in a given set of circumstances. Nevertheless, in many cases it will be appropriate to make an apology within a reflective piece of writing submitted to the GMC/MPTS. A doctor must be able demonstrate that there is a negligible or nil risk of repetition, where they can. In health cases, where there is an ongoing illness or risk of relapse, a doctor will also need to show that they have an action plan for when they become ill again, and have thought through and implemented strategies to remain well. Even where a doctor does not admit a GMC Charge, they should still work through the same process, in order to identify any steps or measures that they can take, which would reassure others that there is a low or negligible risk of repetition in the future. It may be useful to read the GMC’s guidance on assessing a doctor’s insight where undertakings are proposed, and GMC guidance on assessing insight in health cases, which are written for those GMC staff, case examiners, or independent panellists, tasked with such responsibilities. These guides are a useful resource for doctors to read when considering how to respond to the GMC in writing. A doctor may need to evidence the depth of their reflective thinking by completing courses (online, and face-to-face in a classroom, or with a personal tutor). A doctor needs to be able to demonstrate that they have fully explored: a) the duties and responsibilities of a doctor, b) the need for probity in all they do, c) the ethics of their past and future conduct, and d) the need to be fully up to date on changes in medicine. They also need to show that they do not have any deep-seated attitudinal problems that are incompatible with their ongoing practise of medicine. A doctor who has had allegations of incompetence made against them will need to demonstrate not only that they have overcome their shortcomings, through remediation, they will also need to demonstrate how they will not fall into error in the future. A doctor who has been dishonest will need to show that they have identified at root why their dishonesty occurred. They must explain the the changes made to their work or private life to prevent repetition, and show how they can ensure that the public and the profession can trust them again in the future. Evidence from others on the doctors probity will also be of value. A doctor who has had allegations of sexual harassment or sexual touching made againt them by, say, colleagues or patients, needs to be able to demonstrate that they have reflected on their conduct, taken steps to work through any defective-thinking or beliefs that they once held, understand fully the impact of their past conduct on others, and to have taken steps to ensure that they do not transgress again. Even in situations where the sexual element of a situation is not proved, the general conduct of the doctor that led to a misunderstanding might still require insightful reflection. The impact of a doctor’s conduct on patients or on the ‘victim‘ of an incident or other improper situation needs to be examined and understood. The impact on the doctor is of lesser concern to the regulators than the impact on others, including victims and members of the public who may lose confidence in the profession, the GMC, or the doctor. The above guidance is not an exhaustive list. Each case turns on its own facts. And each doctor has their own unique history and outlook, which may mean that some struggle to understand why they are in difficulties. One or two doctors never gain full or any insight. For others it takes a long time to develop insight, and so they have what is often referred to in GMC cases as ’emerging insight’. Other doctors will have achived full insight. The less insight a doctor demonstrates the more likely that there will be an adverse outcome in their GMC case. Writing a good reflective piece is a key part of working through the issues and arriving at a state of full insight, in our view. Where a doctor has to give evidence, they will find that their written, reflective writings will aid them in expressing themselves when they are asked difficult questions, under pressure. A doctor who does not answer well questions put to them may be found to have little or no insight. Such a finding would increase the risks of an adverse outcome, at a GMC or MPTS hearing. In summary, a doctor must spend a considerable amount of time properly working through the issues in their case, if they are to develop and show full insight. MPTS panels and GMC prosecutors have a knack of asking questions that draw out the hollowness of a doctor’s assurances, that they have full insight. A doctor who does not have genuine insight is at risk of being seen as someone who is just saying things that they think others want to hear (i.e. just paying lip-service). The risk of a signicant sanction being imposed increases in such circumstances. Poor insight or no insight is very likely to lead to erasure, in certain classes of cases. It should also be noted that in certain classes of serious cases, even full insight and full remediation will not lead to a doctor keeping their registration.